In the southwestern area of the Sua salt plains, you can find Kubu Island. Camping on Kubu Island means staying the night in a beautiful, remote place under the stars. The campsite is very basic and offers a sense of freedom with an amazing view of the salt plains. The camping sites are between the many Baobab trees and the large granite rocks. Kubu Island owes its name to the hippos that used to live here. Kubu means Hippo in Setswana. 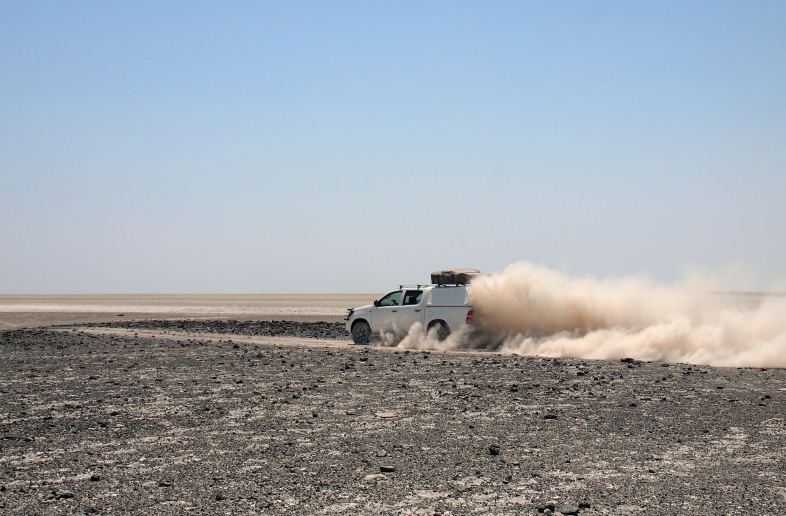 Kubu Island Campsite provides a more adventurous accommodation and is part of various self drive 4×4 trips through Botswana.